Pioneers in the industry, we offer double barrel vehicle mounted fogging machine, vehicle mounted fogging machine, cold fogging machine, ulv cold foggers, ulv fogger and handy fogging machine from India. 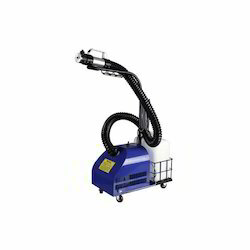 Neptune Vehicle Mounted Fogging Machine Built from only the highest quality materials with rigorous quality control at all stages of assembling, ensure reliable and consistent starting and running. Solution tank, Petrol tank, and fog tube are produced from stainless steel. The fog tube could be adjustable by an electric drive pusher by remote control or manual control. Our firm offers a high-quality range of Cold Fogging Machine. 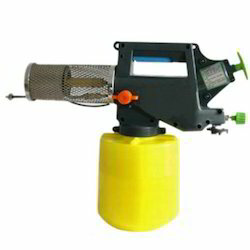 ULV Fogger Stand for ultra-low volume foggers. The designation refers to treating in small or covered areas with relatively small amount of chemical or formulations in an aerosol state. These products are popularly used in hospital, Nursing Homes, Clinics, School etc. Our firm is involved in manufacturing and supplying a huge range of ULV Cold Foggers. We design the given product following industrial standards by making use of best quality material and modern technology. 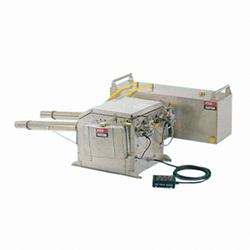 We are engaged in offering our clients a superior quality range of ULV Fogger. We design the given product following industrial standards by making use of best quality material and modern technology. Generate sufficient fog to control mosquitoes flying insects. Ideal for large areas like Bungalow, Outdoor party lawns, Farm House, Schools amp, Parking lots, Garden, Colleges etc. 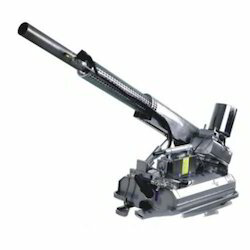 Silent operation makes it ideal for domestic use. 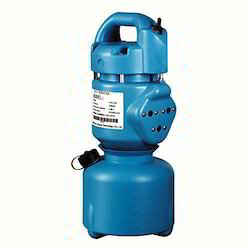 1 Gas can run continuously for 4-5 hours. 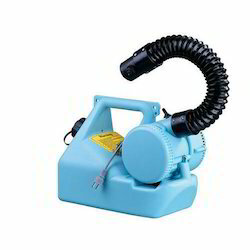 Neptune Portable Fogging Machine is the pulse-jet thermal foggers are manufactured and tested in accordance with the international quality standard and complying with WHO Requirements. All seals, gasket diaphragm contacting solution are made of Teflon Vinton Material. Stainless steel fuel tank, chemical tank, anti-corrosion. Good quality stainless steel cooling jacket and protective shield, secure safety. Easy start-up, operate, maintain. competent for heavy duty. Precisely regulating valve for regulating solution output, have been a market with scale, easily and precisely to regulate solution output.